Gene was born in Chester, Pennsylvania in 1929. His father worked for Gene Autry when he was on the touring circuit. When Gene was 3 years old, he started trick roping in an act with his brother Don, 5. They trick roped for 12 consecutive years for rodeos held at Madison Square Gardens in New York City. Gene and Don were named World Champion Juvenile trick ropers in 1936. As Gene got older, he still trick roped with his brother, but started roping calves at rodeos and later added Steer Wrestling. While in the Army, Gene met and married his wife Betty. They had two children, Valerie and Clifford, and eventually settled in Southern California were Gene worked at Disneyland until he got in the movie business doing stunts. Both of Gene’s children have followed in his footsteps as trick ropers. 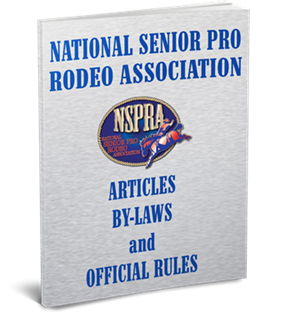 Gene joined the National Senior Pro Rodeo Association more than 20 years ago and has made it to the finals every year since 1983, and he won the Reserve World Championship in Calf Roping in 1990. Gene still works part-time in the movie business as a stuntman and still trick ropes at parties and in the movies. Gene and his son bought an avocado farm where they both reside with their families. They keep their horses, cattle and a full rodeo arena there to practice and train stars and other stuntmen. His first love has always been roping, and we’re glad Gene continues to show us his “tricks” out on the rodeo circuit.